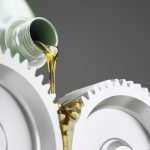 Surface distress in industrial applications is a phenomenon associated with poor lubrication that generates high local friction and stress. 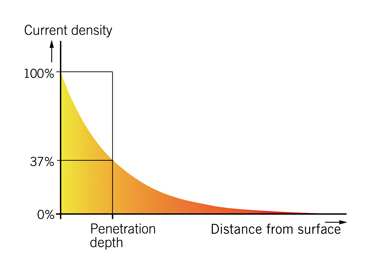 The distance from the surface of the heated object to the depth where current density drops to 37% is the penetration depth. This depth changes in relation to various parameters such as heating times, initial material and choice of frequency. Key features of induction hardening are fast heating cycles, accurate heating patterns and cores that remain relatively cold and stable. Such characteristics minimize distortion and make heating outcomes extremely repeatable, reducing post-heat processing such as grinding. This is especially true when comparing induction hardening to case carburizing. 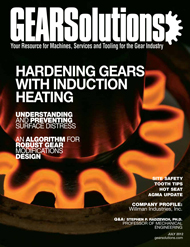 Induction hardening also reduces pre-processing, as the geometry changes are less than those caused by carburizing. Such minimal changes mean distortion does not need to be accounted for when making the gear. 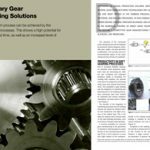 With gears destined for gas carburizing, however, ‘offsets’ that represent distortion are often introduced at the design stage. 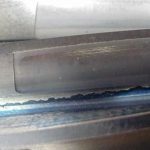 These intentional offsets compensate for distortion caused during the lengthy heat soaks typical of carburizing. Induction can heat precisely localized zones in gears. 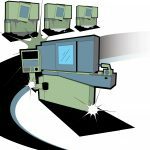 Achieving the same degree of localized hardening with carburizing can be a time- and labor-intensive procedure. 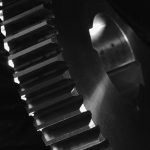 When carburizing specific zones such as the teeth areas, it is usually necessary to mask the rest of the gear with ‘stop off’ coatings. These masks must be applied to each and every work piece, and removed following the hardening process. No such masking is necessary with induction hardening. Induction hardening is ideal for integrating into production lines. Such integrated ‘inline’ hardening is more productive than thermo-chemical processes. 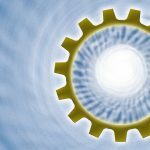 Moreover, integrated hardening minimizes costs, as the gears do not have to be removed for separate heat treatment. 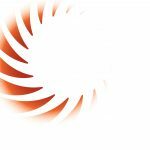 In fact, induction heating makes it possible to create one seamless production flow through the machining, hardening, quenching, tempering and storage stages. 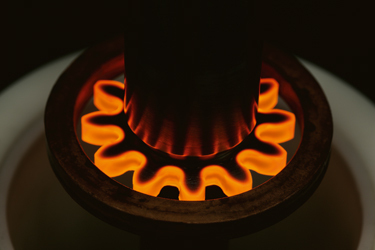 The induction heating method used for small- and medium-sized gears is often referred to as ‘spin hardening’. This is because the gear is placed within an induction coil and spins as the eddy currents are induced. Spin hardening can in turn be divided into two main methods: through hardening and contour hardening. 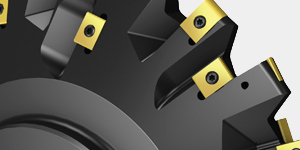 With the first method—used primarily for gears exposed to high wear— the tooth perimeter is hardened with a low specific power. However, if the frequency is too low, there is the risk that above the Curie temperature the induced eddy current flows mainly in the root circle, and the temperature lags behind in the teeth. Quenching is either by submersion or spraying, and is usually delayed in order to achieve a uniform temperature between the teeth and the root circle. Tempering after through-hardening is essential in order to prevent later cracking. 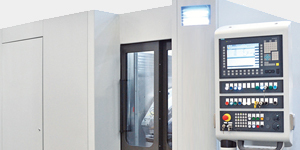 Contour hardening is divided into single- and dual-frequency processes. With the former, a single generator feeds the inductor. Austenitizing is achieved either in a single heating, or by pre-heating the gear to 550-750° C before heating it to the hardening temperature. The purpose of pre-heating is to reach an adequately high austenitizing temperature in the root circle during final heating, without overheating the teeth tips. Short heating times and a high specific power are usually required to achieve hardening profiles at an irregular distance to the tooth face. The dual-frequency process uses either separate or simultaneous frequencies. Using separate frequencies achieves hardening profiles similar to case hardening. The process applies two different frequencies one after the other to the gear. The teeth are pre-heated at a low frequency to 550-750° C. The frequency should be such that pre-heating occurs in the root circle area. After a short delay, use of a higher frequency and specific power achieves austenitizing. Accurate monitoring systems are essential, as heating times are measured in tenths of seconds or seconds during this final heating phase. With the simultaneous dual-frequency method, a lower and a higher frequency feed into the inductor at the same time. 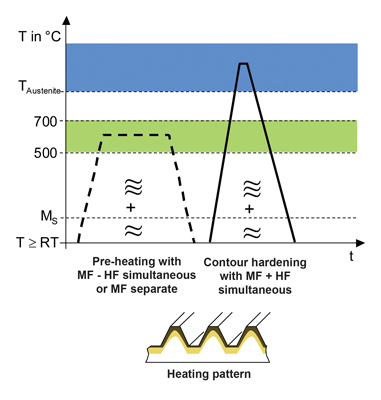 Hardening is achieved by heating the root circle with the lower frequency, and the tooth tips with the higher (see Figure 4). 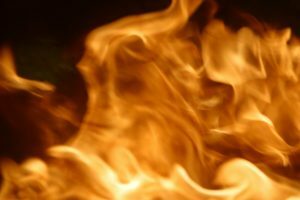 Unlike the separate, or stepped, dual-frequency process, pre-heating is not always required when using the simultaneous dual-frequency process. However, the short heating times used with simultaneous frequencies place high demands on the generator and machine engineering. Figure 5 shows an example of a hardening profile achieved with this method. 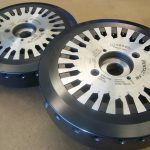 Correct quenching is critical for perfect spin hardening results, and should be performed as soon as possible after the final heating. 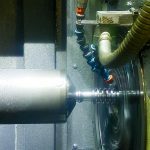 The time gap between heating and quenching can be minimized by using a fast CNC axle to position the spray head, or by integrating a quench circuit into the inductor. 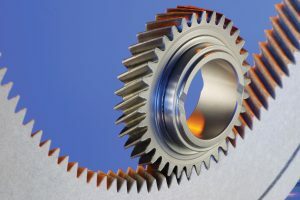 During the quenching phase the rotational speed of the gear is decreased to below 50 rpm to avoid a ‘shadow effect’ on the flank opposing the direction of rotation. Many other factors influence spin hardening outcomes. The material to be hardened and its initial structure, for example, have a decisive impact. Due to short austenitizing times, the initial steel structure must be close-grained (ASTM 7 and above). Non-homogenous pearlite-ferrite initial structures are not suitable. The importance of initial structure and carbon content increases as module size decreases. 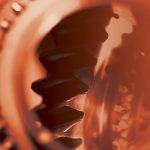 If a somewhat increased quenching distortion is acceptable, inductive pre-quenching and tempering prior to contour hardening can greatly improve the gear’s hardenability. 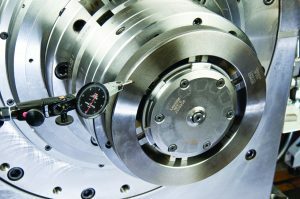 Module size is another key factor in spin hardening. For the dual frequency method with simultaneous frequencies, the range is 2.2 < m ≤ 5mm. However, for cost reasons the gear diameter should be limited to approximately d ≤ 250mm. For modules of m ≤ 3.0mm, the separate dual frequency method is preferred. This is because a final hardening phase with only the higher frequency achieves better hardening at an irregular distance to the face. 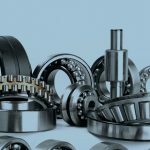 The single frequency method is almost exclusively used for internal ring gears with a module where m ≤ 1.25mm, such as those frequently used in automotive automatic transmission systems. 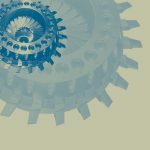 Spin hardening is a versatile and reliable process that can harden spur-toothed, helical spur and internal gears at an irregular distance to the face. 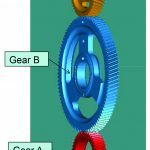 However, different gear forms influence hardening results. 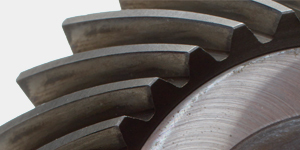 With helical gearing, an asymmetrical hardening of the tooth flank at a depth of up to 2-3mm from the gear face has to be accepted. This situation is however only pronounced with helix angles of β ≥ 28°. Patented coil solutions are available that limit this effect by enhancing power distribution. 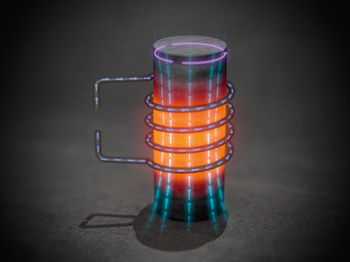 Correctly designed and built induction coils are absolutely critical for successful, cost-effective induction heating. In fact, designing and testing coils is often the process with the longest lead time when devising an induction heating solution. 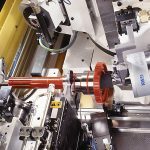 A key reason for this is the fact that coils are task specific. They must be designed to achieve specific results on specific materials under specific conditions. 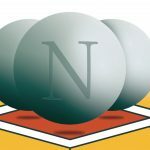 There are no—or at least there shouldn’t be—‘off-the-shelf’ coil designs. 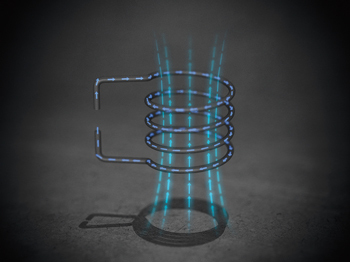 Nothing can be taken for granted when designing induction coils. With very high power density coils, for example, one even needs to determine the correct speed at which cooling water should flow through the coil. Too low a speed will result in insufficient thermal transference. 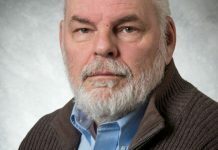 But even when the correct speed has been found, the coil designer must decide whether a booster pump is necessary in order to achieve and maintain the desired water through-flow rate. The competent coil designer will also specify a purity level for the cooling water, in order to minimize corrosion on the inside of the coil. So something as apparently straightforward as the coil’s water, is in fact a complex matter demanding technical competence and specialist equipment. Magnetic flux concentrators are another area of an overall induction solution that at first glance seems relatively straightforward. As the name suggests, the main function of such concentrators is to concentrate the coil’s current in the area of the coil facing the work piece. Without a concentrator, much of the magnetic flux is free to propagate around the coil. This uncontrolled flux will then ‘engulf’ adjacent conductive components. 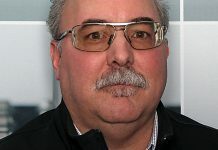 But when channeled by a concentrator, the magnetic flux can be restricted to precisely defined areas of the work piece, resulting in the localized heating zones characteristic of induction heating. Many variables must be considered when making flux concentrators. The work piece’s material, the coil’s shape, the application—each influences the concentrator’s final design. Even deciding what material to use for the concentrator can be a complicated task. Basically, concentrators are made from laminations, or from pure ferrites and ferrite- or iron-based powders. 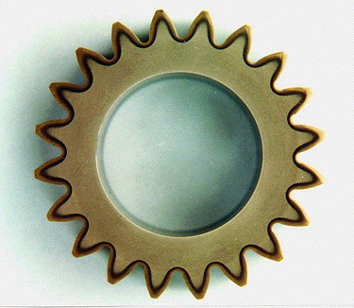 Each concentrator material has its own drawbacks and advantages. 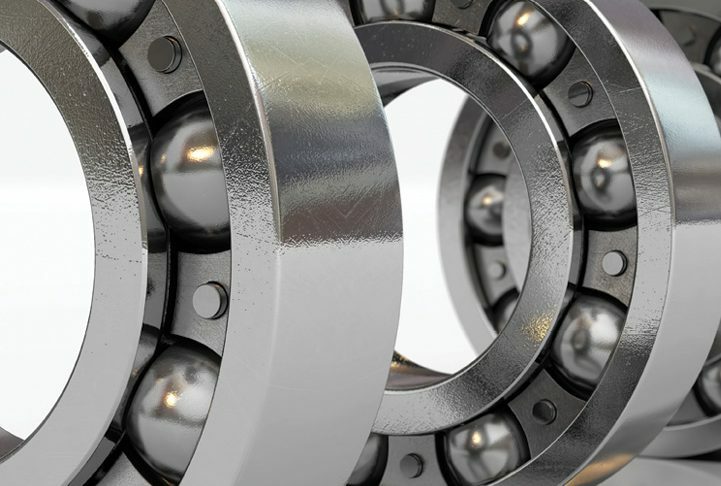 Laminations have the highest flux densities and magnetic permeability; they are also less expensive as parts than iron- and ferrite-based powders. Laminations must however be stamped to a few standardized sizes and are therefore less flexible. They are also labor intensive to mount. Pure ferrites can also offer outstanding magnetic permeability. However, they suffer from low saturation flux density, and their brittleness makes them difficult to machine (diamond-tipped cutters must be used). Iron powders are easy to shape, offer high flux densities, and are easy to shape. But great care must be taken to provide against over-heating, as internal losses or heat transfer from the heated part means such powders have a relatively low working temperature. Of course, many other factors need to be considered when designing induction coils. Correct impedance matching between the coil and the power source, for instance, is crucial in order to use the full power from the power source. Plus the fact that coils need five to ten times as much reactive as active power. As we have seen, a professionally designed and fabricated induction coil is an advanced, complex component. Unfortunately, too many induction users persist in viewing coils as low-tech copper tubes. 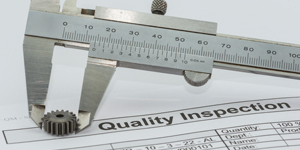 The results of this misconception are incorrect and even dangerous coil designs, amateurish repairs, insufficient or incorrect maintenance, and ultimately, process and equipment failures. entered the industrial induction heating industry in 1979. 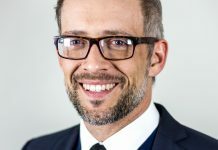 An acknowledged expert on induction hardening, Kristian became Managing Director of EFD Induction Sweden in 2007. 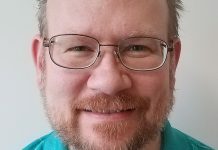 In addition to writing the section on induction heating for the book ‘Steel and its Heat Treatment—a Handbook’, Kristian has written and co-authored numerous articles about induction hardening.